An extraordinary shareholder meeting for the listed unit of indebted Chinese tech group LeEco ended amid protests from creditors on Monday and without the election of a chairman to replace embattled founder Jia Yueting. Leshi Internet Information & Technology Corp Beijing called the meeting to elect three board members after Jia, its largest shareholder, resigned the chairmanship to focus on LeEco’s car business in the United States. Appointments of Sun Hongbin, Liang Jun and Zhang Zhao as non-independent board directors were approved at the shareholder meeting held earlier on Monday. Jia’s LeEco has been fighting a worsening cash crunch brought about by the overly rapid expansion of a conglomerate whose businesses include film production, consumer electronics and electric vehicle manufacturing. Around two dozen people protested outside Leshi’s meeting venue in Beijing before police arrived to control the situation, showed video footage in local media. The people said they were suppliers of LeEco’s mobile unit, which is not part of Leshi. They said they were owed CNY 330 million ($48.75 million or roughly Rs. 314 crores) and chanted slogans demanding payment. Jia pledged to repay LeEco’s debt in a statement earlier this month. LeEco’s woes increased last week after it and a subsidiary were sued by US television set maker Vizioover a collapsed $2 billion takeover, according to US media, with Vizio seeking $110 million in damages over claims about its financial health. Neither LeEco nor Vizio immediately responded to Reuters requests for comment on the matter. LeEco’s Leshi counts Sunac China Holdings as its second-largest shareholder. 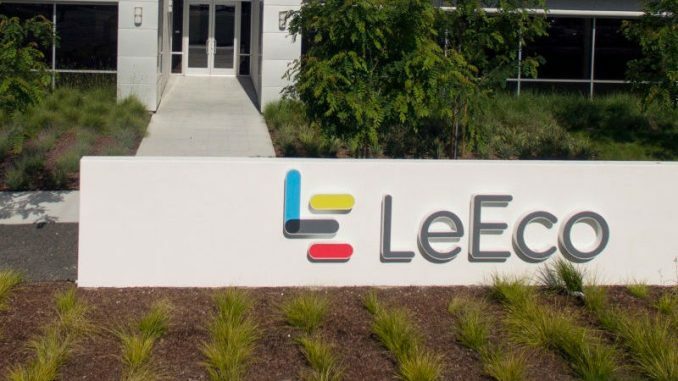 The property developer is widely expected to eventually take control of Leshi having agreed in January to invest CNY 15 billion into various LeEco units. Addressing Leshi shareholders at Monday’s meeting as a board director candidate, Sunac Chairman Sun Hongbin spoke of potential collaboration with the entertainment business of conglomerate Wanda Group. Sunac last week agreed to buy most of Wanda’s hotel portfolio for $9.3 billion. Sun also said LeEco’s Le Vision Pictures is currently subject to an asset freeze preventing any action at the moment. LeEco and Jia recently had assets frozen by a court following a bank complaint of late payments. Leshi is expected to hold another meeting to elect a chairman of the board at a later date.